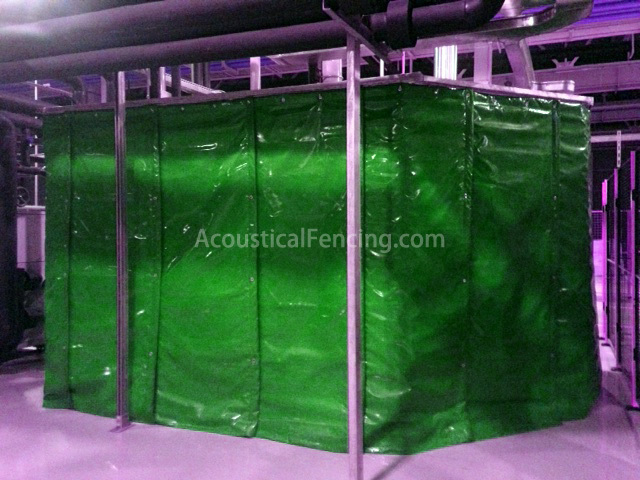 Industrial soundproofing fencing is an effective method for dividing up factories and workplaces to create “quiet areas”. This could be between a manufacturing / production area and a factory office or dispatch. Or just simply a noise fencing between a noisy machine and its operators. The industrial fencing is often used for mining camp noise control. By strategically placing a soundproof wall between the living quarters and the noise source, such as the mine camp power station, effective industrial soundproofing can be very simply reached. Often mine, oil or gas operations are haltered because of excess noise disturbing neighbours or animals. Industrial fencing panels will prevent this and allow companies to operate with no noise impact to their surrounds. 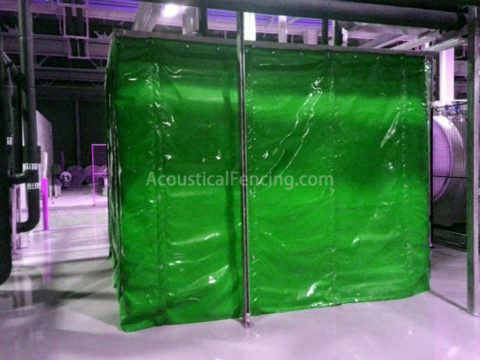 Besides industrial soundproofing, the acoustic industrial fencing barriers are also very effective in minimising traffic noise or reducing noise from equipment such as refrigeration units or air conditioners that maybe disturbing your neighbour. 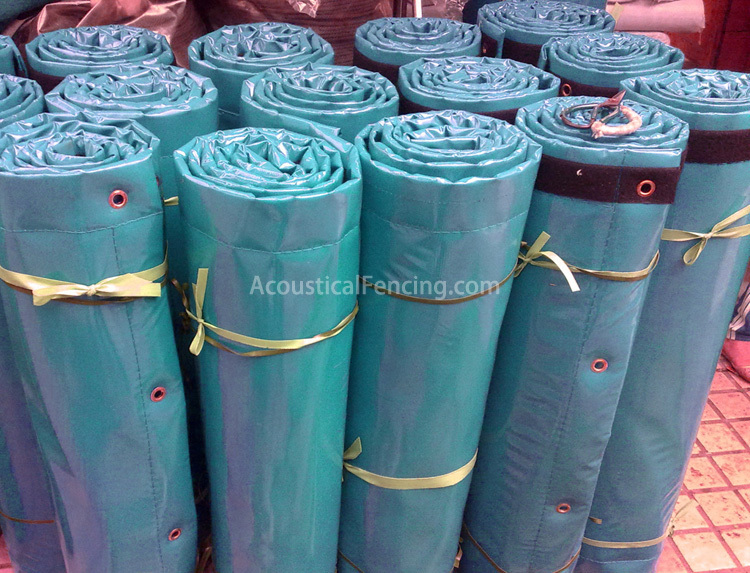 What makes acoustic fencing better for Industrial Soundproofing? Flexible acoustic fencing noise walls are a great choice where flexibility or constant wall relocation is required. The system can incorporate vision panels and access points. It’s an excellent choice for mobile noise fencing barriers on industrial equipments, construction sites, drilling sites and earth works. It is constructed from many different materials depending on the application and industrial soundproof requirement. It’s constructed to absorb noise, reflect sound or attenuate it and keep it within the noise source surrounds. 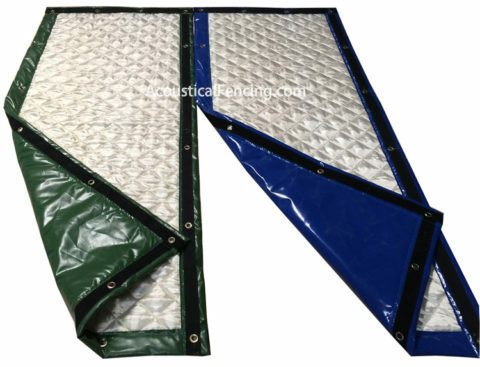 Industrial soundproofing acoustical blankets system can be custom made to suit your exact size and environment requirements. Once a solution has been chosen we are able to quickly manufacture and supply. Noise control walls are available as a kit with easy installation instructions.